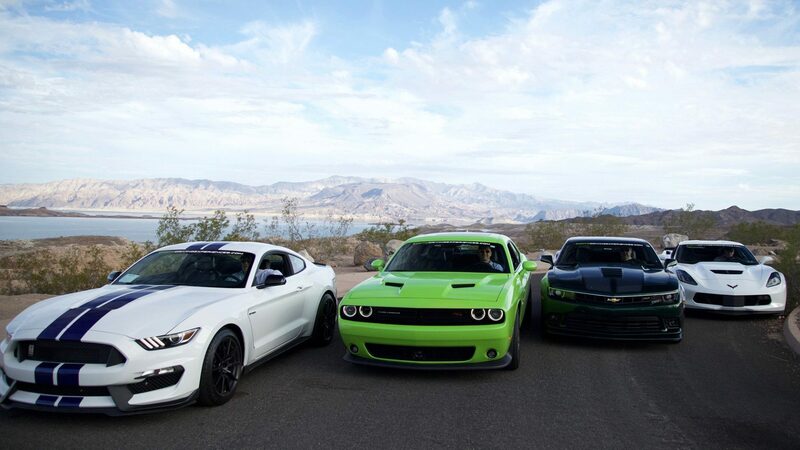 Experience the thrill of driving a high performance vehicle while enjoying the scenery of Lake Mead National Park. Fulfill your driving fantasies as you drive 30 miles through the winding roads of Lake Mead National Park on the only guided driving tour available in Las Vegas. You will have the opportunity to drive 3 different American Muscle Cars throughout the duration of your 2.5 hour tour. Along the way we will stop at scenic overlooks in the park for incredible photo opportunities. After your guided driving tour we will provide transportation back to your Las Vegas Strip hotel with memories that will last a lifetime! – Drivers must be 21 years of age or older. – Passengers must be 6 years old and weigh at least 60 pounds. – Must have Proof of Insurance or purchase Loss Damage Waiver. – Drivers are responsible for any damage to the car while they are behind the wheel. – A $20 National Park Fee is charged at time of booking in order to gain access to the National Park.